Today’s an exciting day for a couple of reasons. First of all, today’s my 27th birthday! I’m one of those people that loves celebrating birthdays (mine and others), so I’m looking forward to having all kinds of fun today. I’ll probably write more thoughts on being 27 tomorrow (you can see my post on turning 26 here, if you want). Secondly, today’s exciting because it’s my first post as part of The Secret Recipe Club! 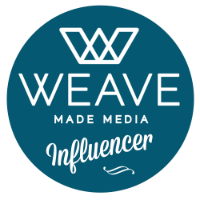 The idea is that you’re assigned a blog each month, and you choose one of their recipes to make and post about. Fun, right? I was assigned Manu’s Menu, which has quickly become one of my favorite new food blogs. Her recipe index is amazing, and I found myself clicking on tons of different recipes and adding them to my “to make” list. Seriously, I’m dying to try this Garlic Naan. Manuela specializes in authentic Italian food, which had me drooling, and it made my choice of what to make especially hard! 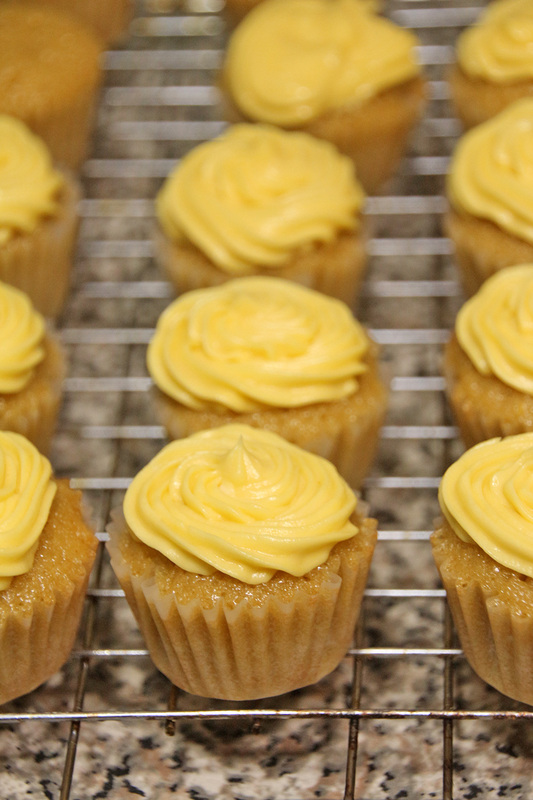 I finally settled on her Vanilla and Lemon Mini Cupcakes for a couple of reasons. Firstly, because we were going to a Walking Dead premiere party, and I needed a dessert to bring, and secondly, because at the time I made them, it was just a few days before my birthday, and nothing goes with birthdays like cake! 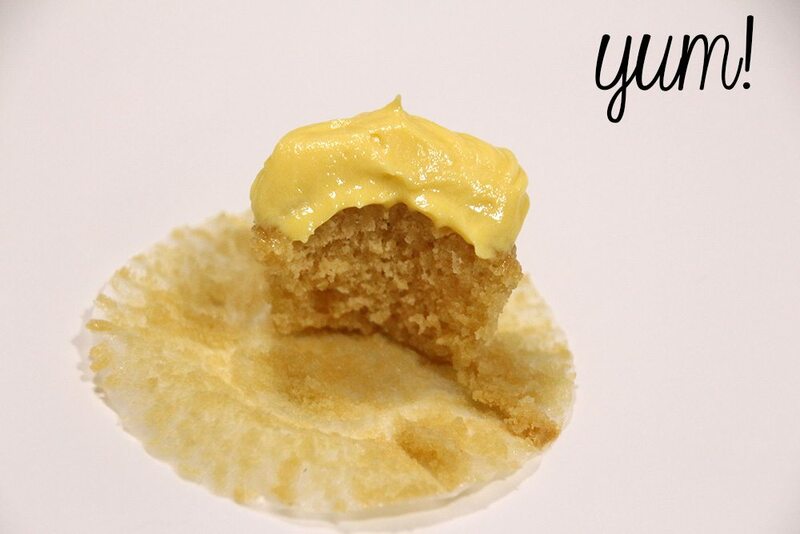 Most of you know how much I love vanilla, so these cupcakes are my dream come true. The cake part is a little spongy, and perfectly full of vanilla flavor, while the frosting has a nice balance of lemon and vanilla. All in all, these little treats were a big hit, and I can’t wait to try more of Manuela’s recipes! 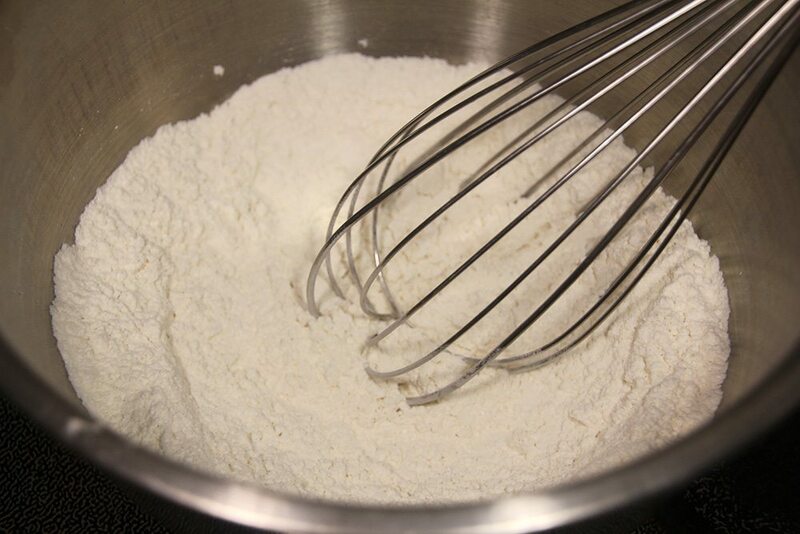 In a large bowl, whisk together the flour, baking powder, and salt, then set aside. 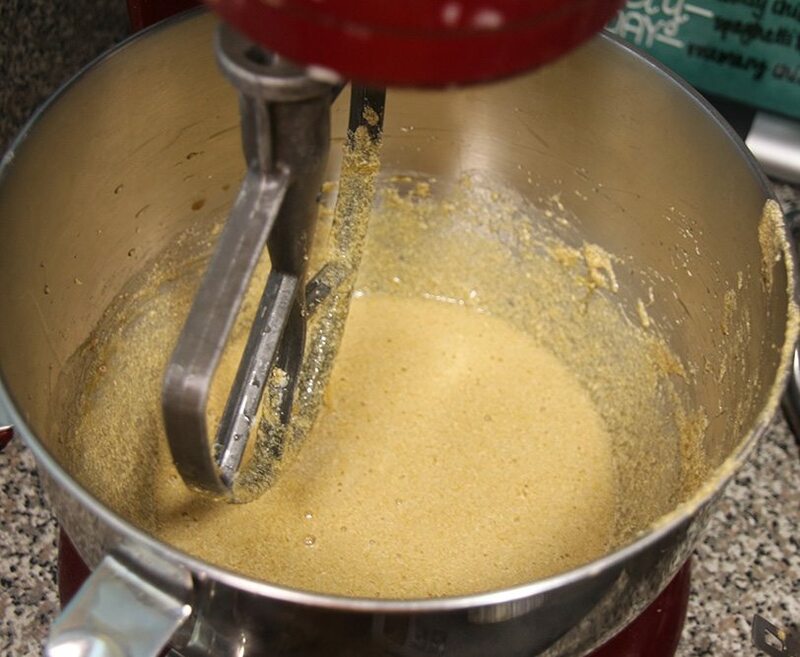 Beat together the brown sugar and butter. 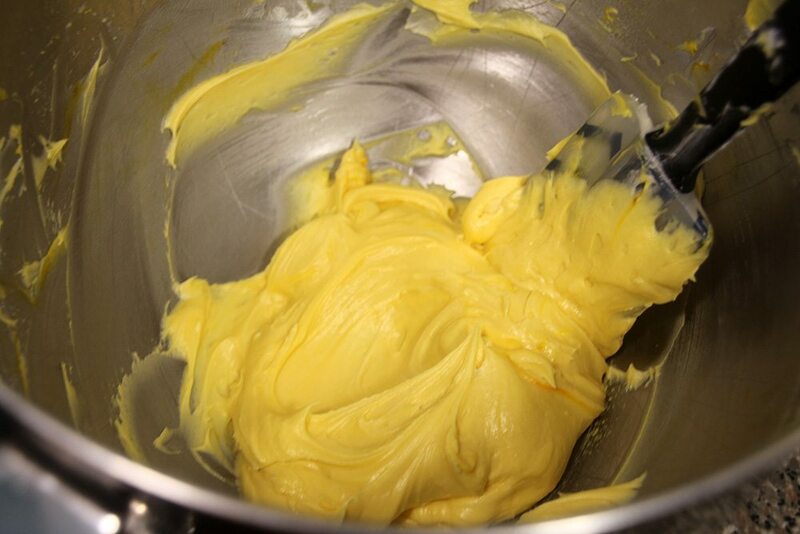 Beat in the eggs, one at a time, then add in the vanilla. Beat in the flour mixture, the buttermilk, and the milk by alternating with 1/3 of the flour mixture, 1/2 of the buttermilk, and 1/2 of the milk. 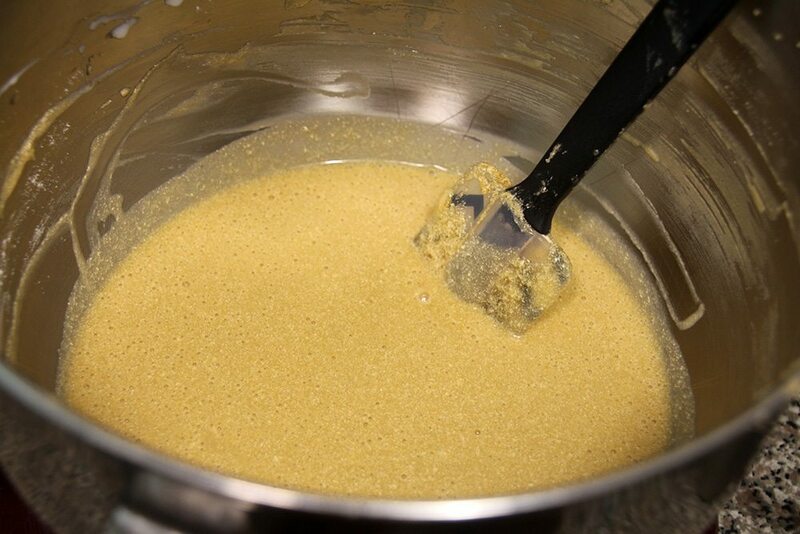 Repeat with the next 1/3 of the flour mixture, the rest of the buttermilk, and the rest of the milk. 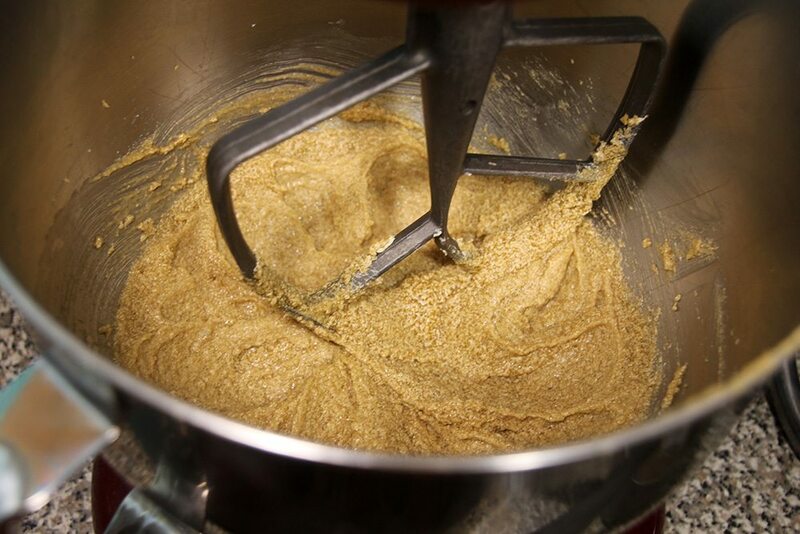 Finish by adding in the last of the flour mixture. 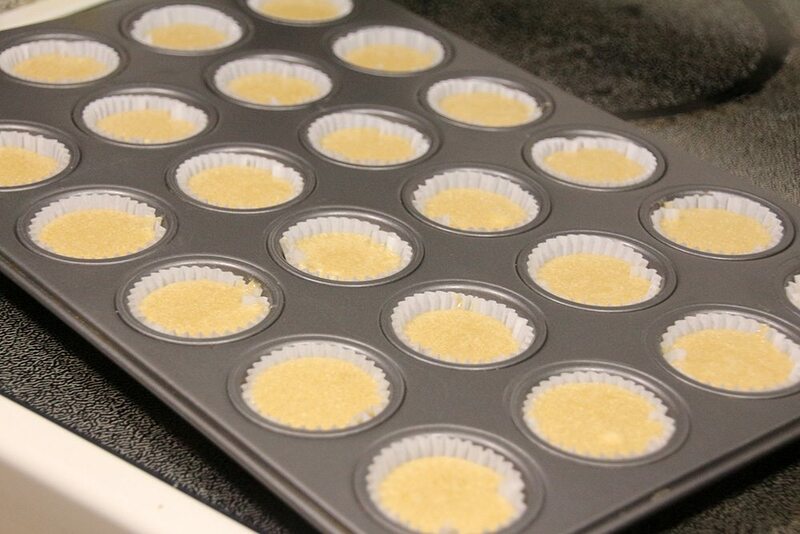 Line a mini muffin pan with liners, then use a small scoop to evenly distribute the batter between the cups. 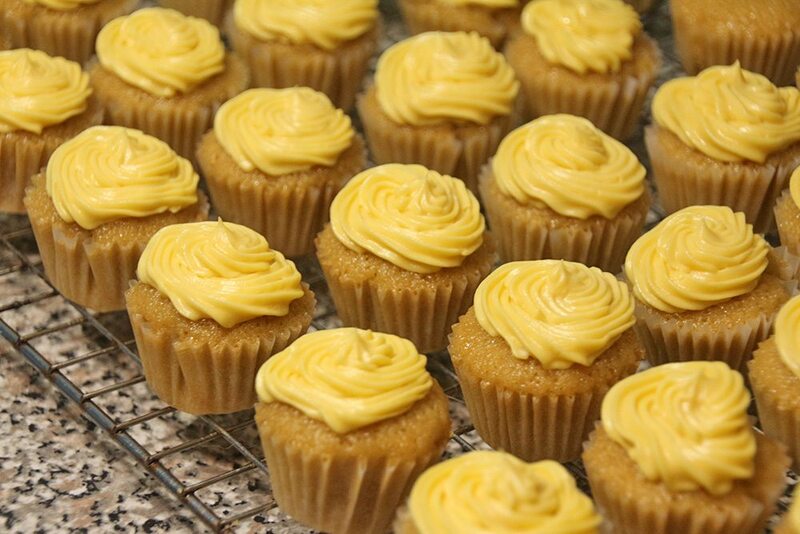 Bake at 330 for about 15 minutes, or until a toothpick inserted in the center of the cupcakes comes out clean. 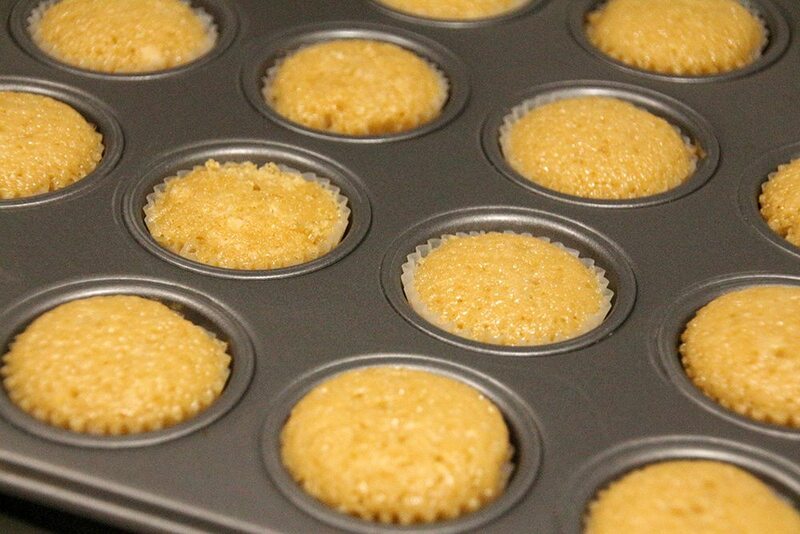 Allow the cupcakes to cool in the pan for 10 minutes, then transfer to a wire rack to fully cool. Meanwhile make the frosting by beating together the butter, powdered sugar, lemon extract, vanilla extract, and food coloring. Once the cupcakes have cooled, put the frosting in a bag with desired tip and frost. I am always looking for the perfect cupcake! These sound divine, and will go on my to make list too! Visiting from SRC, Happy Birthday! 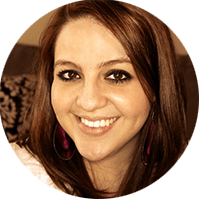 Thanks, Jenna – I’m so glad you stopped by! You definitely can’t go wrong with these little treats! Happy birthday! And welcome to SRC! Your cupcakes look wonderful! Happy happy birthday, friend! May this be your best year yet! Thanks, Chelsea! So far, it’s been great 🙂 Hope you’re having a good weekend! Welcome to the club, and to Group C! I hope you have a very happy birthday as well. 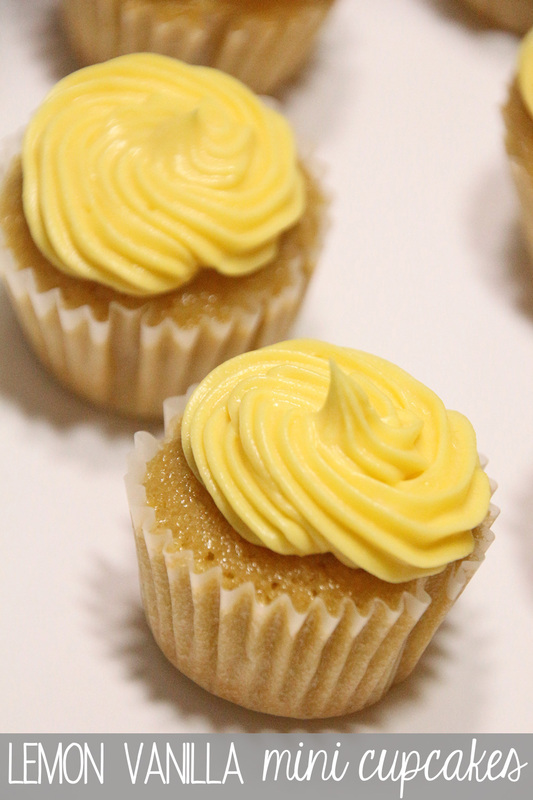 I am so happy you enjoyed the cupcakes… lemon and vanilla is my favourite combination! 🙂 Thanks for all the nice words about my site! Happy Birthday! Hope you bring the Steelers luck tonight! Thanks, Ginnie! Happy that they ended up winning last week, and hoping they can do the same today! Totally agree – they’re so much easier than cake but just as delicious! Let’s see. Walking Dead. Birthday. 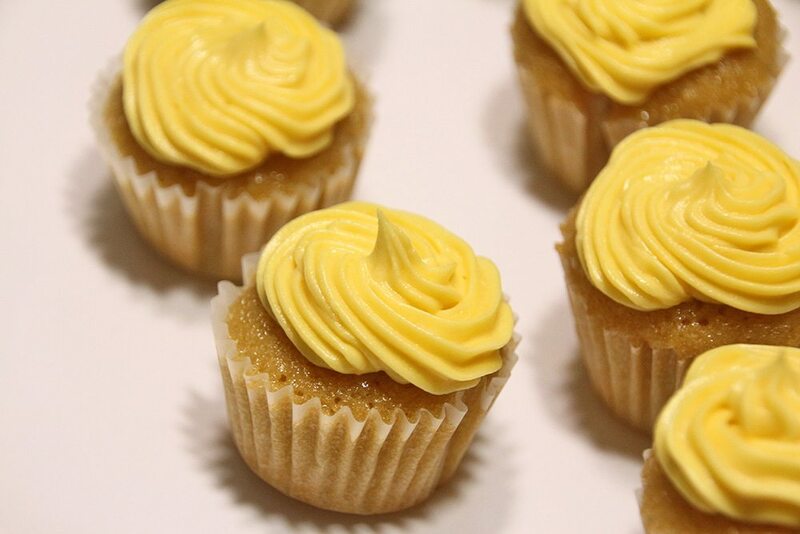 Mini cupcakes. Sounds like a great way to spend time with friends..
Haha, right? You really can’t ask for a better combo than those things!